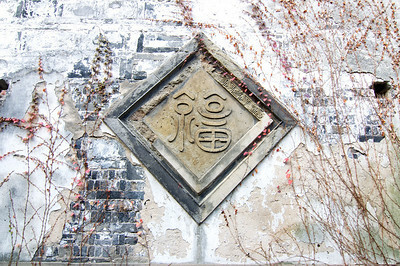 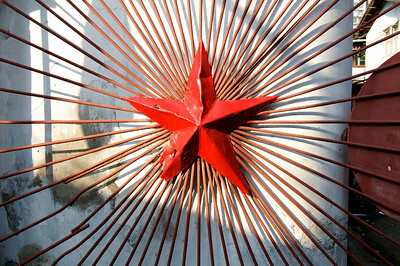 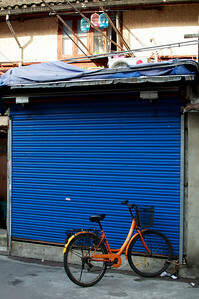 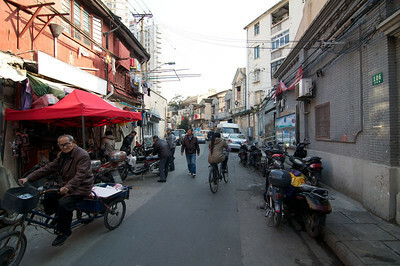 Taken during a guided tour around the Xiaonanmen area of Shanghai China winter 2012. 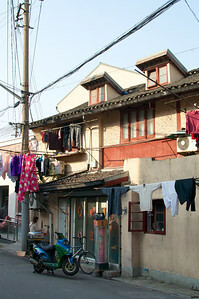 Xiaonanmen, Shanghai: Our guide told us that long ago this used to be the tallest structure in the city. 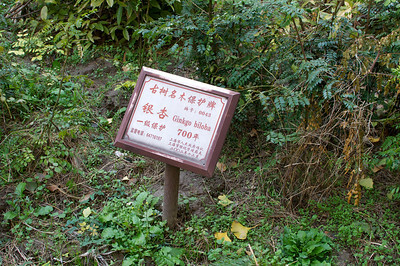 Xiaonanmen, Shanghai: Sign marking the oldest tree in the city, a 700 year old Ginkg=o tree. 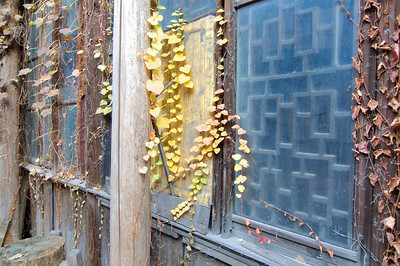 Xiaonanmen, Shanghai: The 700 year old Ginkgo tree. 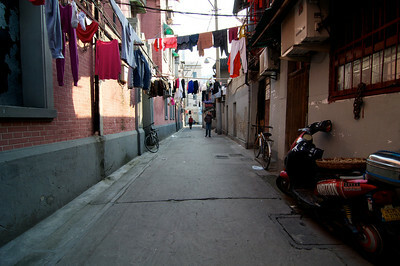 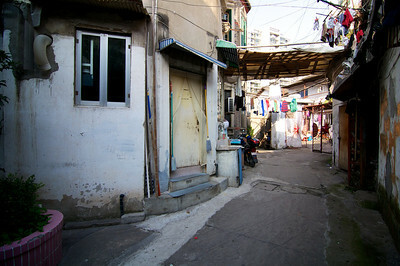 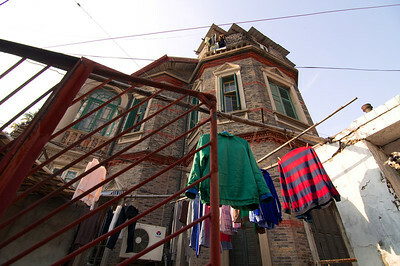 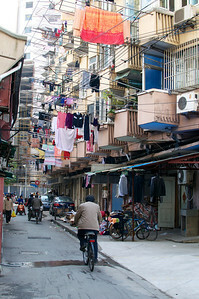 Xiaonanmen, Shanghai: Laundry hung out to dry. 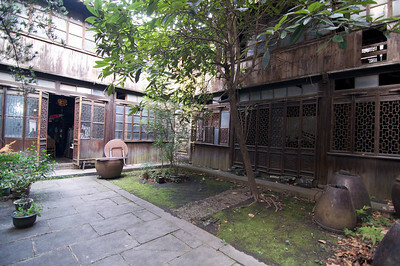 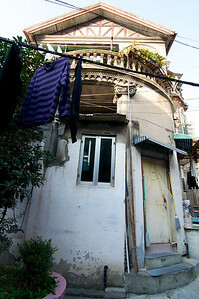 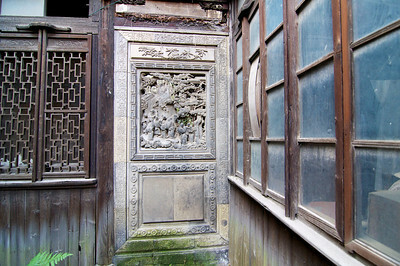 Xiaonanmen, Shanghai: The roof of this house is from Japan. 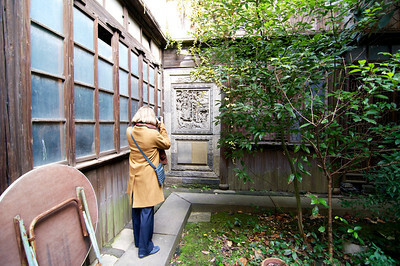 The owner of the house had connections with the Japanese before the invasion, and this roof was a gift to him. 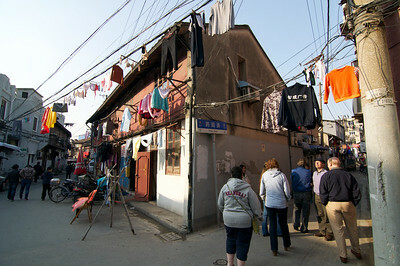 Xiaonanmen, Shanghai: Nothing to see but us tourists. 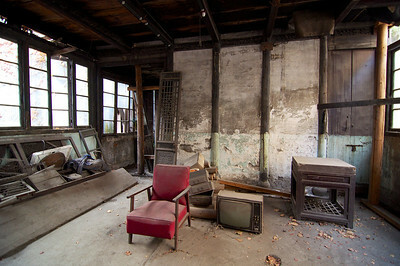 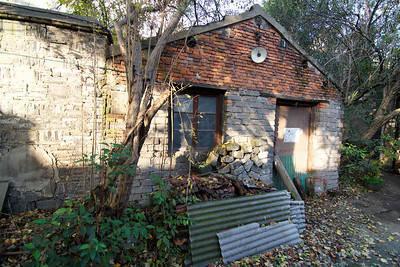 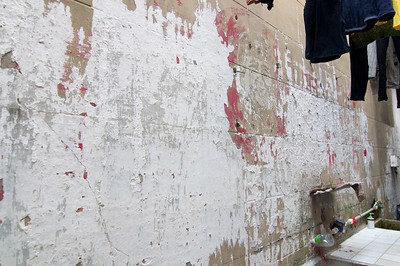 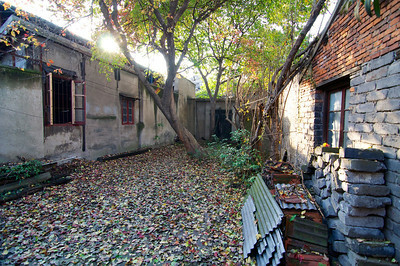 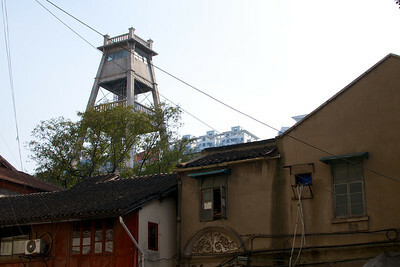 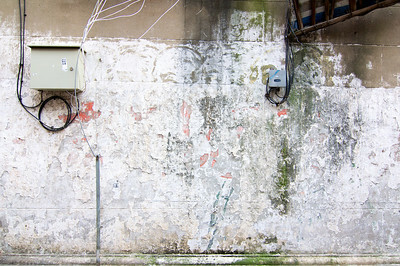 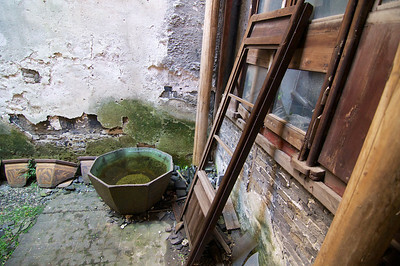 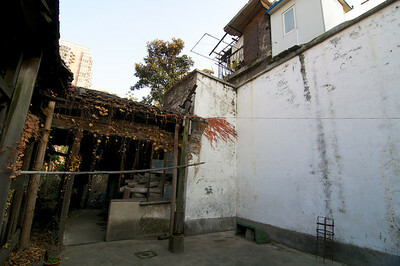 Xiaonanmen, Shanghai: You can see the remains of a communist era painting on the wall. 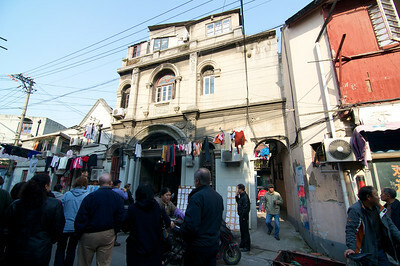 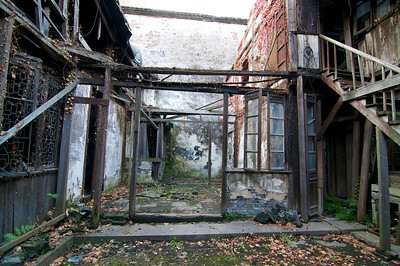 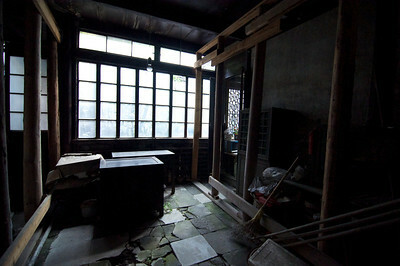 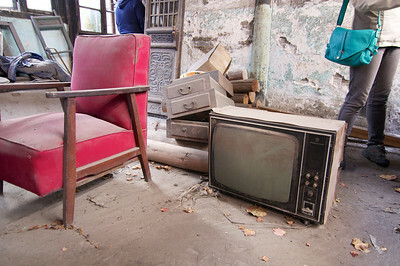 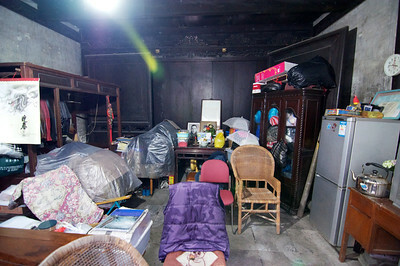 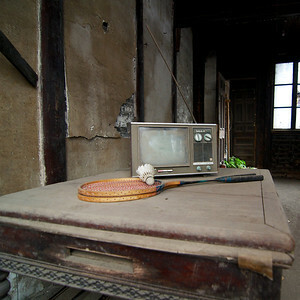 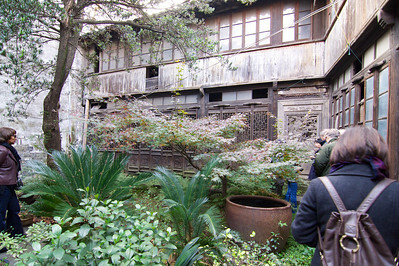 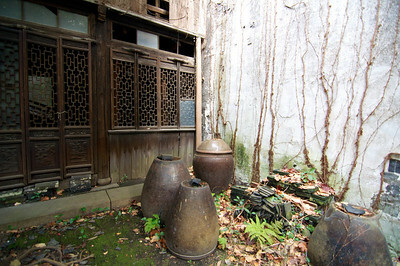 Xiaonanmen, Shanghai: The next stretch of photos are of a large home we had access to because of the tour. 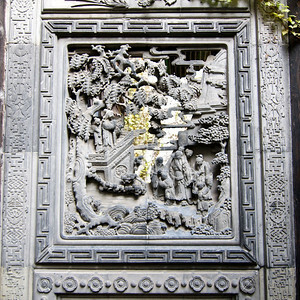 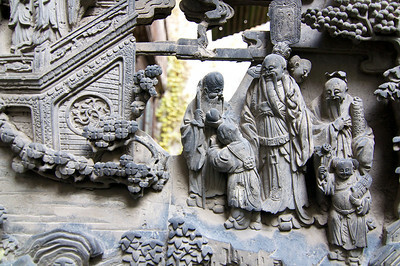 Xiaonanmen, Shanghai: Nothing is being done to maintain or preserve this work of art. 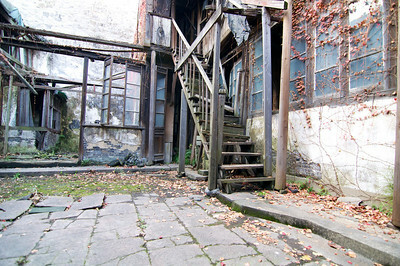 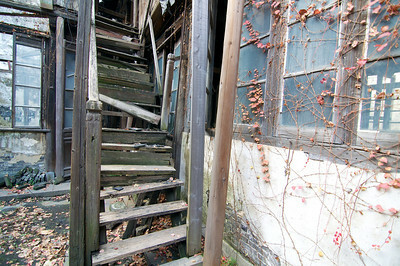 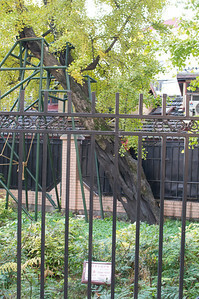 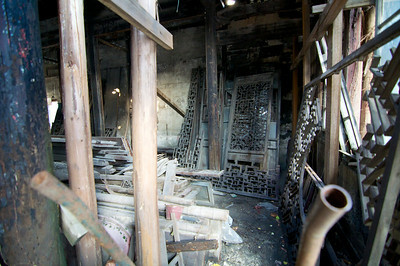 Xiaonanmen, Shanghai: Stairs falling apart. 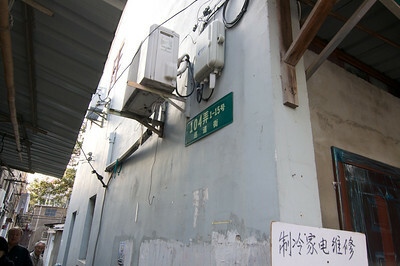 Xiaonanmen, Shanghai: In case you wanted to try to find the area.